Whenever the solidus made its way back into the Roman treasury, it was melted down and reissued after having been weighed again against the carob beans. Because of this, the solidus maintained a standard weight, despite gold wearing away with use. Prior to the age of the Roman Empire, the carob beans themselves were used as a measure when purchasing gold. The beans were plentiful and readily available, so market-goers could carry their own beans as a unit of measurement and be assured that they were getting a square deal with their purchases. Today, we use the 24 karat standard of the solid gold Roman coin when measuring the purity of gold. 24k gold is considered 99.9% pure. The higher the karat number, the greater the amount of pure gold included in the item. 14k gold is therefore 58.3% pure gold (14 parts of 24, with the remainder being alloy); 18k gold is 75% pure gold (18 parts of 24); 21k gold is 87.5% pure; and 22k gold is 91.6% pure. 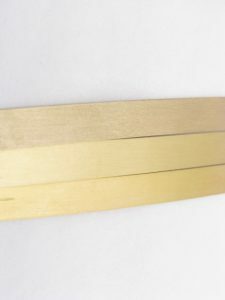 Because gold is very soft in its pure form, alloys are used along with the gold to strengthen the metal – and sometimes to render the resultant metal different colors (e.g., white gold, rose gold, etc.). It is easiest to see the change in karats when looking at yellow gold. As the karat number increases, the metal becomes more deeply saturated with a rich yellow color due to the increase in pure gold. 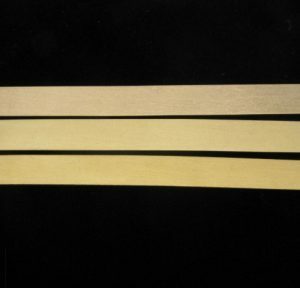 In the photos that follow, you will see three strips of metal; from top to bottom: 14k, 18k, and 21k yellow gold. 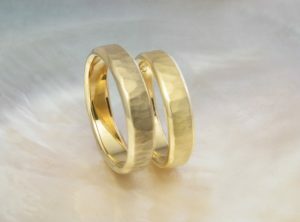 And in the following photo, you will see two rings of the same style… on the left, in 14k gold; and on the right, in 18k. The trade-off for the splendor of richer gold is price and durability. 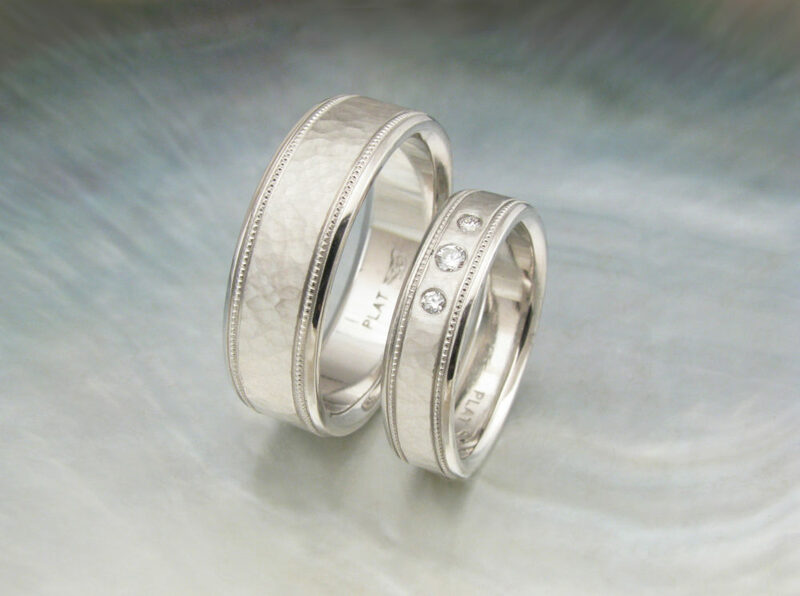 Because the higher karats of gold do not allow for as much alloy in the final piece, the metal will be softer and more subject to wear… but certainly no one will dispute its beauty.